Once you get over that, don't be alarmed because everyone else is also there to put a happy ending to their night with a huge pot of stew to share with friends and possibly also a bottle(s) of soju nightcap. 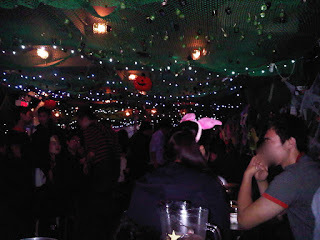 There's even soju bottle caps hanging from the fishnets overhead... see? Happy place! 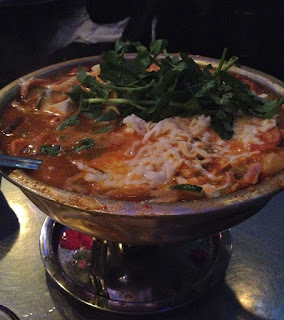 - Budae-chigae (Korean Army Stew). It's basically spicy ramen mixed in with the kitchen sink. There were noodles, rice cakes, pasta noodles, spam, hot dogs, veggies, egg... the list goes on and on! - Chicken gizzards. Ick, not one of my faves but the boys loved it. It was kind of chewy and salty. 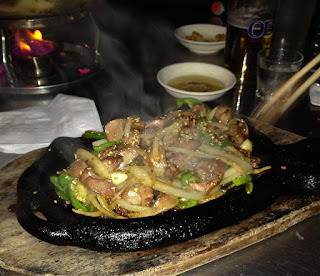 I happily ate the grilled veggies and left them all the gizzard. While it's always fun to go, the quality of food isn't as good as other late-night eats in K-town (BCD Tofu House! but we'll save that for another post...). I know it's part of the 'mood' of the place, but I always get creeped out when it's so dark I can't see what's lurking on the floor. I can't help it, it's the neat-freak/germaphobe in me! Nonetheless that never stops us from polishing off everything on our table. The food is most definitely edible, even yummy after ## rounds of drinks. If you've got the late night munchies after a night out, Pocha 32's a pretty good option. 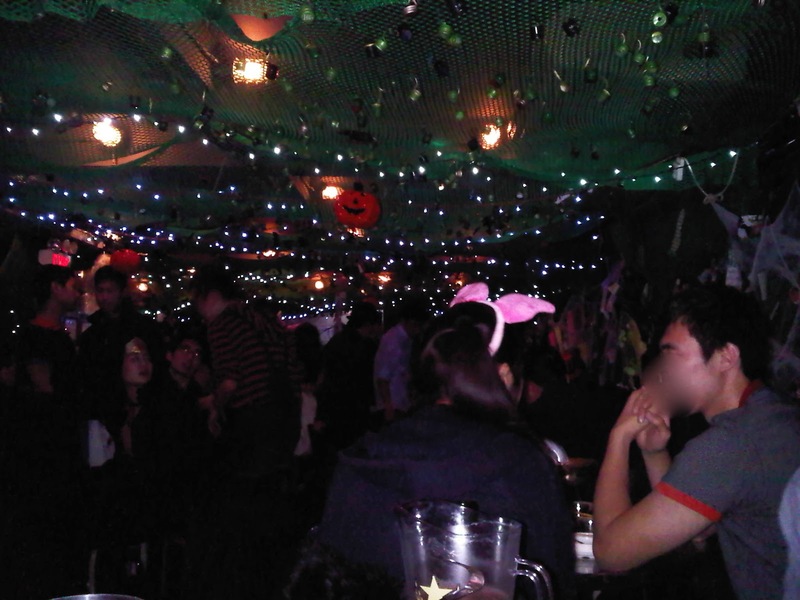 Just remember while other places on K-town may have better food, this feels more like the continuation of a party.